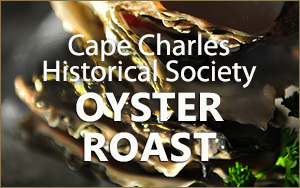 Oysters are the star of this traditional Eastern Shore roast on the grounds of the Cape Charles Museum, and will be served both roasted and raw. Spicy bacon and potato studded clam chowder will also be available. Non-seafood lovers can chow down on fried chicken, three bean salad, potato salad and homemade rolls.